They’re the guys almost everyone wants to boo it seems but they’re the guys who make the game possible, we’re talking referees and linesmen. The Jets Legends are delighted to announce their officiating team who will take charge of the charity Legends game on July 19th at Absolutely Ice. Wearing one set of armbands will be referee Jurijs Solovjovs. Jurij came to the UK from Latvia and is a popular well thought of official within the EIHA. In the mid noughties Jurij was well known to Slough fans as the “ever returning Jurij Solovjovs” working the line in nearly every Slough home game for a season. These days he has the arm bands on his sweater and referees at every EIHA level. 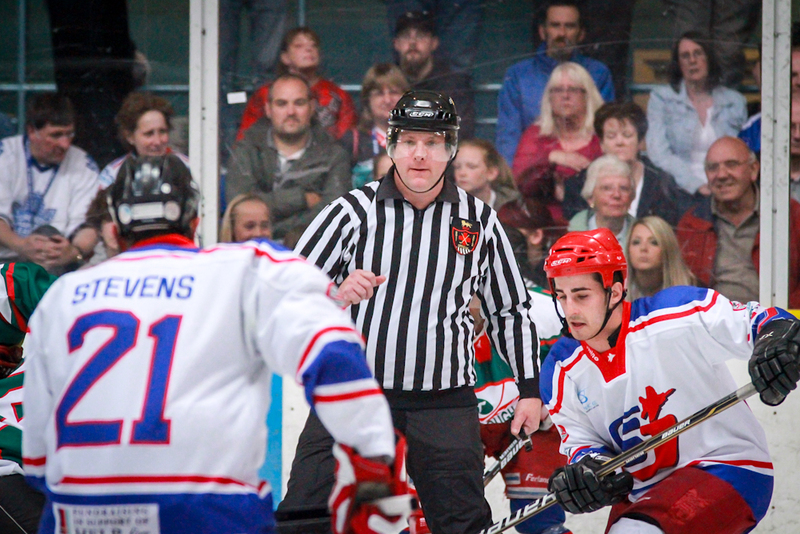 The lines for the game will be run by the two local officials, Andrew Gipps and Ian Hayden. 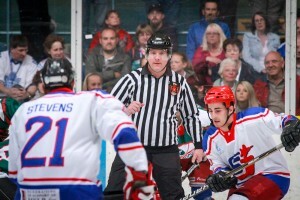 The two both learned to skate in Slough and both started their officiating careers after being Jets supporters. Andrew is a young upcoming EIHA official. 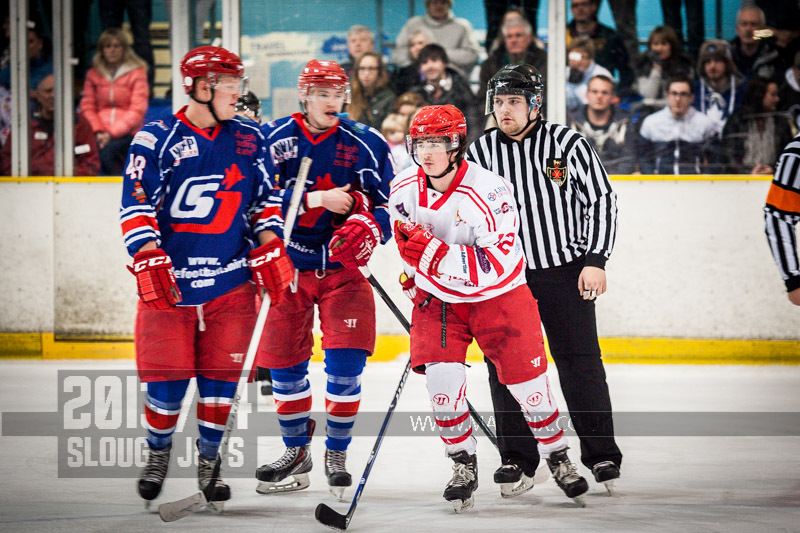 He has lined many EPIHL games, including the Slough Jets and is also working his way up the leagues earning his arm bands too. 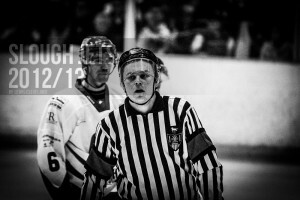 In the season just gone he was the most photographed official in Slough but his performances on the ice were never anything less than professional. 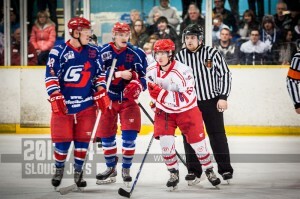 He is also a former Slough Junior Hockey player. Away from the ice Andrew is a Duty Manager at Absolutely Ten Pin. 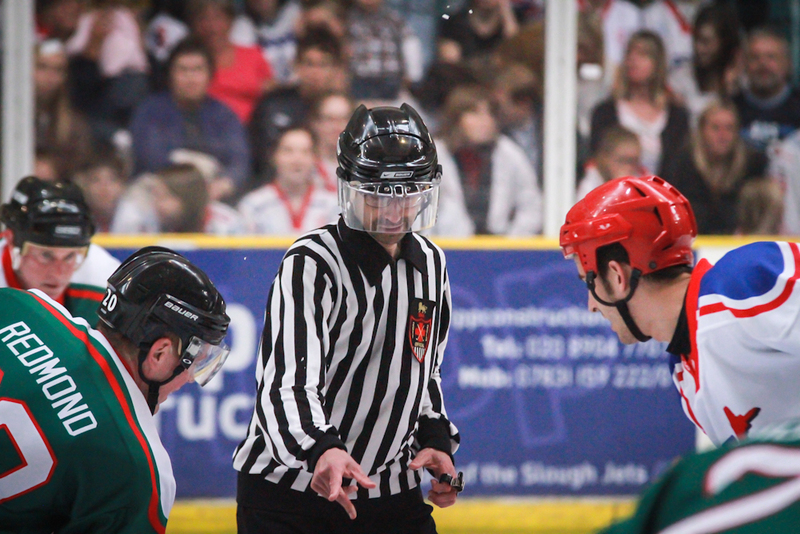 Ian Hayden has just completed a very busy year as acting Chief Referee of the EIHA. He is the assistant Chief Referee and with Mohammed Ashraff back in place Ian has returned to his normal duties but with added responsibility. Week to week, among other administrative duties Ian is responsible for ensuring that scheduled games have the correct officials allocated and is also an active official himself. Ian can be found on the ice refereeing most weekends and is highly active in the training of officials too. His knowledge of the rules and in house interpretations is second to none and he always approaches every game with a calm head. The game is celebrating the Slough Jets recently ended 28 year history as a proud professional sporting club and will be raising funds for local charity SPICE and national charity the Lymphoma Association.